Handers to know when an event has been clicked or hovered over. 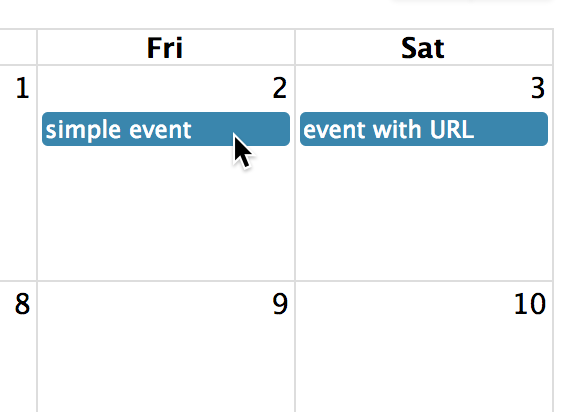 Triggered when the user clicks an event. Triggered when the user mouses over an event. Similar to the native mouseenter. Triggered when the user mouses out of an event. Similar to the native mouseleave.